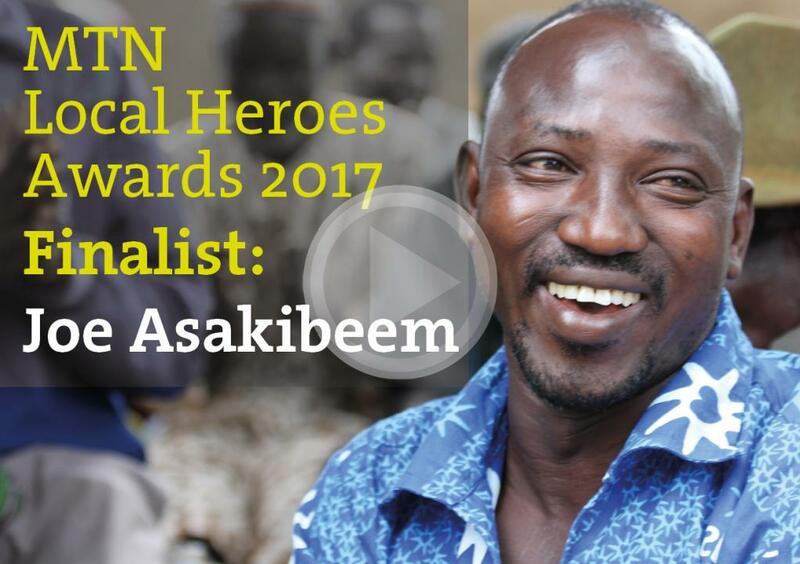 We are so proud that AfriKids’ project manager, Joe Asakibeem, has been shortlisted for an MTN Heroes of Change Award – down to the last 10 out of 2,400 nominations across Ghana! The MTN Heroes of Change Awards recognise people going great things for their communities and Joe has been nominated for his outstanding contribution to child protection – through his mission to end the Spirit Child Phenomenon. One of the many local heroes that make AfriKids so special, Joe has dedicated his life and career to ending the Spirit Child Phenomenon. In Joe’s rural village of Sirigu in northern Ghana, limited education and access to healthcare meant that children born with disabilities or who lost parents young were being misunderstood and greatly feared as curses on the community, resulting in them being neglected or even killed. With a small team of local staff and volunteers, Joe earned the trust and respect of his community and through education, has challenged these deeply held beliefs to completely abolish the killing of “spirit children”, not just in Sirigu but also six other communities in the area. Joe and his team have led communities to proudly declare an end to the Spirit Child Phenomenon. Today, Joe and his team are blazing a new trail – tackling the Spirit Child Phenomenon in more areas of northern Ghana. Back in Sirigu, they are taking on the next level of change to ensure families living with disabilities get the extra support they need, including support groups and specialist clinics for children living with cerebral palsy, completely transforming their quality of life. This year we are supporting Joe to meet local groups, run workshops, support emergency medical treatments, establish new cerebral palsy clinics, provide tailor-made, papier mache style furniture to children with disabilities and work with the child protection, education and health care authorities to improve services and protection for some of the most vulnerable children in northern Ghana. If you’d like to make a contribution to support Joe’s work, please follow this link.